Well…it’s Friday which means we usually get Funky. 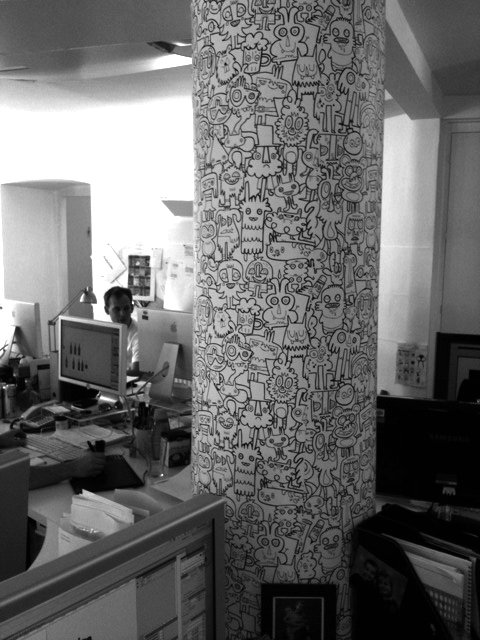 But this week we’ve stepped it up a gear by prettying up the studio pillar with some Jon Burgerman wallpaper (thanks Ray for putting it up!) We love it and can’t wait to start colouring in…watch this space! Have a fab weekend…BBQ weather is upon us, yippee! This entry was posted in The Studio by holmesandmarchant. Bookmark the permalink.